Are you reading alone? Do you love great stories? Would you like a helping hand to enjoy them? Then you need Little Gems: wonderful easy-read books to keep you turning those pages. Now with colour pictures right through! 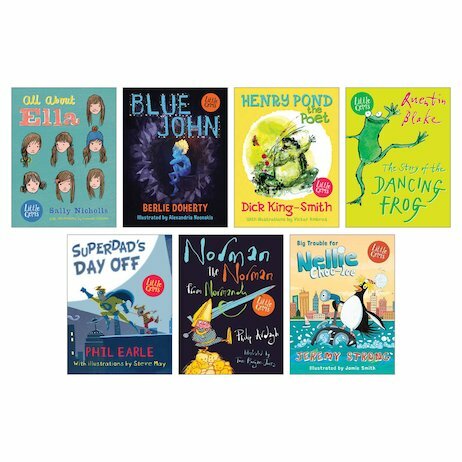 You get fantastic stories by great authors like Sally Nicholls and Jeremy Strong. That’s a pretty good start, isn’t it? But the really clever thing about these stories is that they only use simple, short words that you can easily read. Stories you want to read in words you can actually read: what’s not to like?